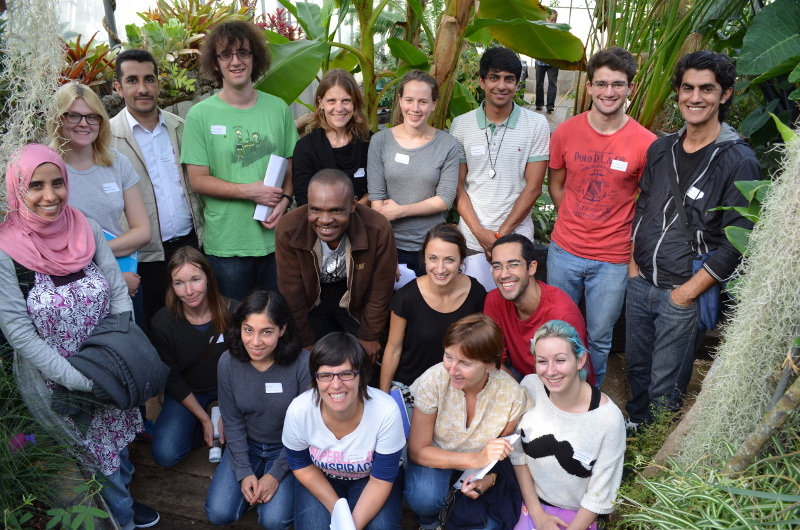 The 2013 MSc Plant Diversity intake arrived on Wednesday to a busy session of induction, safety talks and the formative plant ID test. The students were given 30 numbered plants to identify to family (plus genus and species if they knew them) in only one hour. Here you see them taking a break in the tropical glasshouse before going back to mark their tests and discover how much plant ID they will need to learn over the next two terms. Over the next year I expect you will see some of their work published as blogs on this site. This entry was posted in Learning and Teaching, People, Students and tagged botany, MSc Plant Diversity, Plant Identification, teaching and learning, tropical botany. Bookmark the permalink.